This is the first guide in our Zapier Automation Content Series. We’ve prepared three instructional guides to help you use Zaps to automate manual workflows. You’ll also find two practical use cases profiling scaling sales teams who are using Zapier to connect up multiple apps and streamline their processes. Check out each of the 5 guides to learn how to recapture huge chunks of time and spend more time talking to leads and customers!!! Anyone responsible for selling has so many competing tasks. Founders, Executives and Sales Managers know that sales will make or break their business, but there is always an avalanche of tasks to complete that can pull salespeople away from selling. But is your business actively trying to eradicate these time-sucking tasks from your workload? You can’t afford to be distracted from revenue-generating activities by admin you can automate. Your job is to attract and convert leads and to nurture relationships with customers. You aren’t growing your business unless you have a repeatable sales process that allows you to maximize the time you spend on the selling. Even the most refined sales process has multiple stages involving the many different activities required to drive leads towards a deal. You’ll have a bunch of moving parts to manage, and without taking advantage of automation - you risk sucking up precious selling time with annoying admin. Without the right tools, this vicious cycle of admin is hard to escape. Whenever you have data related to your sales activities that sits outside the centralized hub of your CRM (emails, calls, proposals etc.) - you’re faced with the chore of manual data entry. Time spent on the repetitive task of manually entering data is time away from closing deals. Human error and lack of focus often mean important data can be overlooked and valuable sales opportunities lost. We want to help you understand how to blitz the burden of your admin so you can spend as much time as possible on revenue-generating tasks. To build a scalable and repeatable sales process, you must have the right systems in place to manage your data and track your sales activities in real time. And it’s even more important for these systems to communicate with each other. Zapier is an incredible stress-busting tool that allows you to automate actions between the different web apps you use every day. Zapier can absorb your most dreaded admin tasks so you can free up time to focus on your most important role - actually selling. Zapier connects Pipedrive with your favorite business apps like Gmail, Slack, MailChimp, and 1000+ more. With the right ‘Zap’ workflow, can you automatically send all your data into your CRM and significantly boost your reporting and tracking capabilities. Zapier works as the communication bridge between two different apps. You can automate information flow between Pipedrive and your other web apps by setting up a workflow called a ‘Zap’. A Zap completes a task you want to happen automatically. It works as a link between two apps and triggers the information flow based on a given rule that you set. The rule simply uses “if this, then that” logic. Once you’ve set up a Zap, every time the Trigger occurs, Zapier will automatically initiate your specified Action. When someone submits information on your website "contact us" form, you want to create a new lead in your CRM. Easy! IF I receive an inquiry on my contact form, THEN create a new deal in Pipedrive. Now instead of re-entering data on a consistent basis, once you have set up the Zap, your leads will flow into your pipeline automatically. The best part is you don’t need any technical know-how or coding knowledge to set it up. 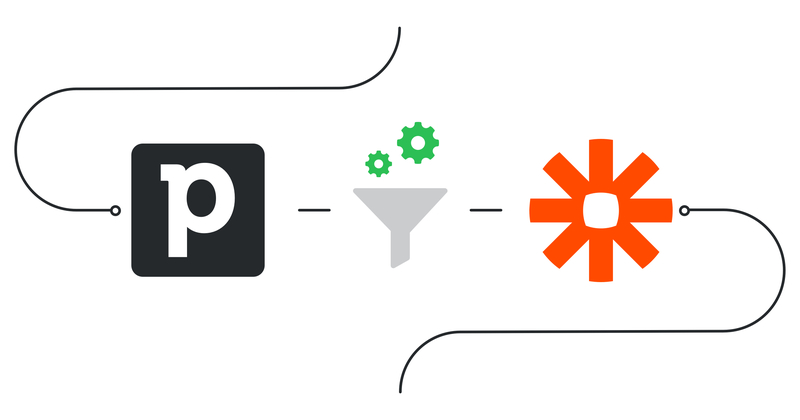 Connecting Pipedrive to Zapier lets you capture information from all your apps and arrange it into your pipeline based on the rules that you set. This integration can work both ways - you can also send information out of Pipedrive to your other connected apps. Here are just some of the ways that a Pipedrive-Zapier integration can revolutionize your workflow and ‘Zap’ the admin out of your workload so you can spend more time on the tasks that matter. Contact us forms, MailChimp, Facebook, events, referrals - with so many opportunities to generate leads and collect data, it’s easy to end up with a mountain of data living outside your CRM. Manually entering this information is incredibly time-consuming and down-right boring. Not to mention the missed opportunities when data slips through the cracks. Let Zapier do it for you. Zapier can capture new leads from other software and automatically add them to Pipedrive as contacts or deals. Zapier is connected to hundreds of business apps, so no matter where you’re interacting with prospects or collecting data - there is a good chance Zapier can automate the data transfer. You’ve moved your deal to the next stage in your pipeline - kudos! Now it’s time to schedule that meeting or lunch so you can act fast and keep the momentum flowing. But with so many deals in your pipeline, it can be tough to monitor ongoing deals and all of the relevant next steps. Zapier allows you to automate this workflow. Zapier allows you to automatically create activities in Pipedrive that link to your deals and the contacts involved when a deal is moved to a new stage. Every time a deal reaches a new stage in Pipedrive, Zapier can automatically add the new relevant activity to help you stay on top of all your prospective clients. Closing deals? Then it’s time to celebrate and share the news with your team! Zapier can automatically send an email or slack message whenever a new deal is created or hits a certain stage in your Pipeline. This is especially important for sales managers who want to keep track of sales velocity and how deals are progressing. Alerts are also useful so you don’t miss a beat when prospects make contact. When a prospect fills out a contact us form, Zapier can send an update to Slack with all the relevant data so you don’t waste any precious time reaching out to your potential new customer. Once you've set up the deal, it's time to work until you close it. Complicated sales processes mean important action items can often get missed. But keeping your tasks manually synchronized across multiple apps is a needless use of a sales person’s time. With all those leads flowing into your pipeline, imagine if you could auto-create a task list to maintain focus on all the right actions. You’re in luck - the right Zap will keep you on track. You can set up a Zap that triggers whenever a deal is opened or reaches a specific stage on Pipedrive. Whether you use Todoist, Trello, Asana, or whatever your preferred app may be, this trigger can create a new task, tracking all the action items for you to stay on top of the deal. The good news for Pipedrive users is that Zapier’s ‘Free forever’ model offers all the capabilities mentioned above. The freemium model allows you to automate all your basic tasks with one-to-one connections and receive support from the top-notch customer support team at Zapier. If your sales process involves more complex workflows with multiple apps, you can sign up to Zapier’s premium plan from $20 per month. Zapier’s paid plan offers multi-step Zaps, so no matter how many different apps you use - you can customize an automated workflow according to your specific needs. Zapier offers a free 14-day trial so you can try out your custom Zaps before committing. Connecting Zapier to your sales CRM allows you to dramatically reduce the time you spend on administrative, repetitive tasks so you can free up your time to focus on closing deals. So whenever you find yourself slaving away at a repetitive task – stop and ask yourself if this can be automated. There’s a high chance that Zapier can win you back some time. Drop by our Zapier Support Page to learn exactly how to integrate your Pipedrive account with Zapier and check out some of the most popular Zaps used by Pipedrive customers. Try some pre-made Pipedrive integrations and learn more about how Pipedrive works with Zapier. Check out Zapier’s help documentation for details on connecting your account and setting up your first Zap. 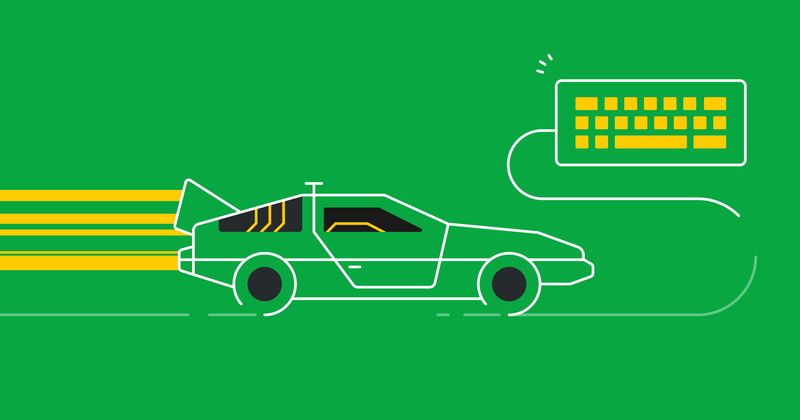 Log in and build a custom workflow with Pipedrive and Zapier.